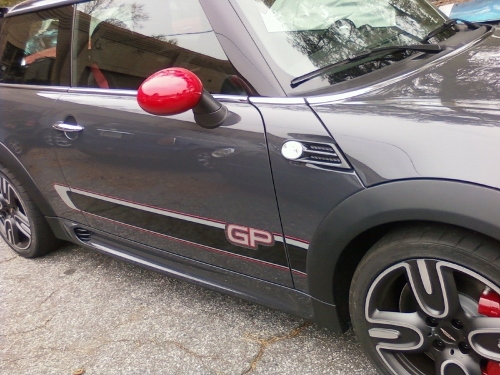 Checker Side Scuttle Inserts for Gen 2 R55 R56 R57 R58 R59 MINI Cooper and Cooper S. If you want to improve the look of your MINI these checker side grille scuttles are the ticket. As you can see these are a simple set of inserts that go into any of the 2nd Gen MINI side scuttles that have removable inserts. Check yours before ordering as not every set has removable inserts. These are a factory OEM MINI part so you know they will also fit perfect. 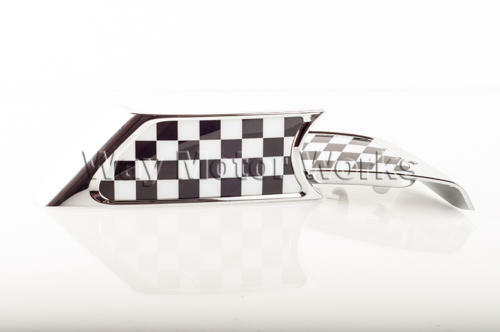 Sold as Pair of checker side scuttle inserts as seen in pic.